Micronutrient Masterclass – How to compare 2 Multivitamins using the ABCs of Supplementation Guidelines. Note: To listen to the audio only podcast version, click HERE. 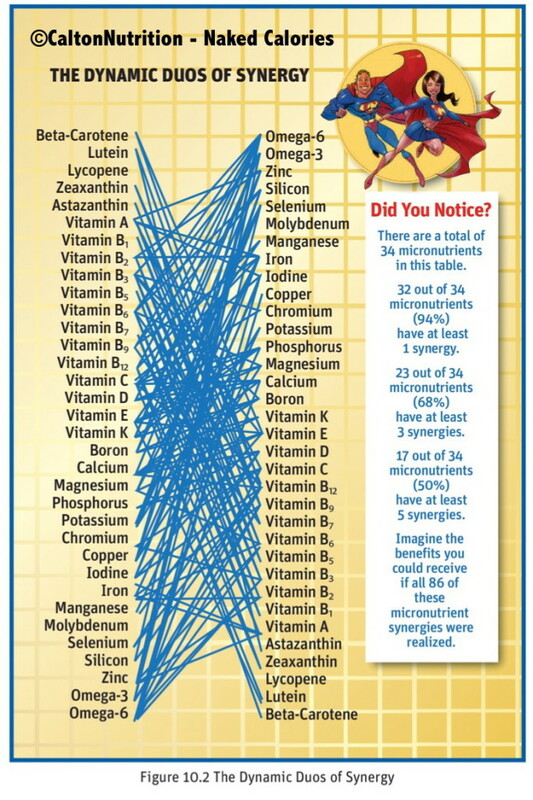 We know this one is long, but we really want you to understand how to compare 2 Multivitamins. Consider this a MASTER CLASS. We want you to review the data, and make up your own minds. We think it is quite clear that nutreince wins, but we leave it up to you. In this episode of HOUSE CALLS we create a MASTER CLASS on MICRONUTRIENT COMPARISON. We chose the Thorne FX, as the comparison because you all kept writing in and asking us what we thought about our good friend Ben Greenfield's discovery of what he called the “Greatest Multivitamin on the Face of This Planet”. We were actually kinda shocked that it was not nutreince. But when he heard he had taken a paid position at Thorne FX we understood. He was asked a lot of questions about how nutrience compared, and while he wasn't biting, he certainly did say that he thought that Thorne FX's 6 capsule a day formula was superior. In fact, in a video Q and A, Ben talks openly about nutreince's Anti-Competition Technology and formulation. Many of you wrote in and wanted a response. Well…THIS ONE IS FOR YOU ALL. 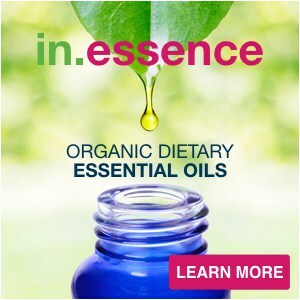 Remember: You can use our ABCSofSupplementation.com videos and check list to see how other multis stack up to nutreince for yourself. Short on time? You can always look at our time notations (ex: [12:34]) to find where in the video this specific topic is being discussed. The worst performers were (see here) Kirkland Signature formula (Cosco Brand), Ultimate One for Men, Trophic, Sisu Only One, Super Swiss One, and GNC Mega Man – all of which failed to disintegrate at all. The Thorne Research Multi-encap was evaluated and failed to fully disintegrate within the 20 minute time frame, but did disintegrate within 90 minutes. While this does not prove that the Thorne FX capsule would perform in the same way, it does make one think twice about choosing a capsule. Evidence suggests that a liquid delivery system (like with nutreince) is best. Reason 2: Difficulty taking pills. A nationwide survey conducted by Harris Interactive, a global market research firm (they conduct the Harris poll), reported that 40 percent of all people surveyed have difficulty taking pills. The study reported that these individuals find swallowing pills so difficult that many delay, skip, or discontinue taking the pills or capsules altogether. Why not use liquid? Why choose powder? . That is because there are several environmental elements that can degrade micronutrients in a premade liquid vitamin. In fact, those vitamin-enhanced waters that sit on the store’s shelf in clear bottles are allowing light to degrade the very micronutrients it is promising to supply. And some micronutrients release antagonistic elements that degrade other micronutrients in the same formula when left sitting in a liquid solution for a long time. For example, vitamin B12 in a liquid solution can break down and release a cobalt ion. This cobalt ion can then contribute to the destruction of different B vitamins. So to avoid this we made nutreince a powdered formula that we recommend you add to water right before you are going to drink it. Why single serving? We even took one further step to ensure the protection of our micronutrients, we package each and every serving is a separate light and moisture protective packet (not an inexpensive endeavor). This is because if your powdered multivitamin comes in a large, multi-serving container, every time you open the container to take your daily dose you expose the micronutrients to light, moisture, and air (oxidation). Additionally, some micronutrients are heavier than others, so in a large multi-serving container by the time you get to the bottom you are left with the heavier minerals and are likely not getting consistent potency with each serving. According to Ben, powders or liquids would have to add sugar and taste horrible – FALSE! 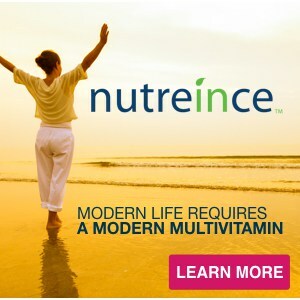 Nutreince is sugar free and it is free of binders and fillers. So that statement just is not true. There are no artificial colors of flavors or binders or fillers – nothing in nutreince that wouldn't make the best quality list and we should know .. after all we wrote Rich Food Poor Food which is Bens favorite guide for reading ingredients on packages. Multiple times a day: First we both deliver multiple times a day. Of course we make it simple in 2 drinks and Thorne and many others supply huge pill packs that you have to choke down 2 or 3 times a day. The truth is that Thorne is well aware of the fact that they don't contain enough.According to Tom Nikkola at Thorne “The 170 mg of magnesium was the most we could squeeze into the capsules without raising the capsule count to seven or eight per day. As Ben mentions above (and we agree with), 3 in the morning and 3 in the evening feel about right. Going higher gets to be too much for many people.” Yes these are bulky materials but adding them in is important. No, you couldn't do that in a capsule but we were able to in our powdered nutreince. Citrate conversion offers great absorption. Ben hit us on thinking that calcium carbonate and magnesium carbonate were cheap forms but actually due to the citric acid in the powder they have an ionic conversion to citrate forms and are very well absorbed. These minerals are extremely important and likely deficient. 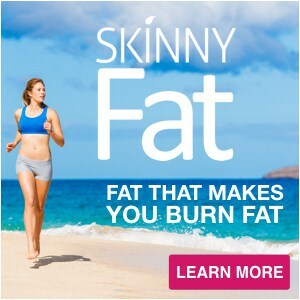 Magnesium expert Carolyn Dean, M.D., N.D., states that “Up to 80 percent of the U.S. population is suffering from a magnesium deficiency.” Additionally, when we updated our study on popular diet plans for Naked Calories, both the Primal Blueprint diet as well as Practical Paleo were both severely deficient in calcium. These are both electrolytes, which should be very important to athletes. A study in the American Journal of Clinical Nutrition found that athletes, both male and female, were deficient in magnesium and only consumed an average of 70 percent of the Dietary Reference Intake (DRI) for magnesium in the first place. And we can’t site every time Ben recommends magnesium for sports athletes. There is no blog long enough for that. So we all know we need more. Nutreince supplies what you need. Niacin: Thorne only chose 1 form of niacin. We think that is a mistake. They chose niacinamide. However, the two forms of niacin perform completely different functions in your body. Niacinimide controls blood sugar but only niacin, a completely different form of vitamin B3 that is usually not found in multivitamins is the form that has been shown to lower LDL (bad cholesterol) and raise HDL (good cholesterol). nutreince contains both forms because when we say complete – we mean it! We also don’t skimp on choline or lutein. Did you know that in scientific studies 6 mg of lutein has been shown to delay and possible revers Age Related Macular Degeneration (AMD)? That is why Tufts University in their Health Newsletter recommends 6 mg daily. Thorne adds accessory ingredients that may be dangerous for you. Yes, they mention some of these but we want a majority of people to be able to take nutreince. Curcumin. It is unsafe for the following groups. Pregnant women. It might promote a menstrual period or stimulate the uterus, putting the pregnancy at risk. Gallbladder problems. It can make gallbladder problems worse. Don’t use curcumin if you have gallstones or a bile duct obstruction. Interacts with Medications. Avoid if on statins (1 in 4 Americans). Cancer Treatment. Don't take if undergoing chemo. Pregnant women. It’s UNSAFE to use phellodendron when pregnant. Surgery of any kind. Must stop 2 weeks prior to even minor surgery cause of its anti blood clotting side effect. Pregnant women. It puts the pregnancy at risk. Never use when pregnant or breastfeeding. Not only is micronutrient competition likely the biggest revelation in supplemental science in the last 80 years, but it is also likely the reason that the multivitamin is under attack by many people in the medical and health professions. It turns out science has proven again and again the overwhelming health benefits of individual essential micronutrients such as vitamin D, calcium, magnesium, zinc, vitamin C etc. Whole books have been written on the benefits of these vitamins and minerals. But when we take 20 or 30 of these essential micronutrients and put them together in a single delivery system like a pill or capsule and make what has become commonly known as a multivitamin, nearly all of the positive health benefits disappear – the million dollar question is why? 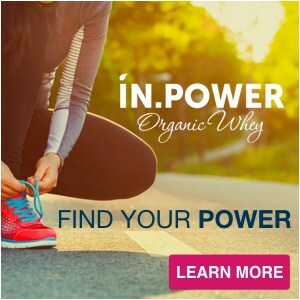 Science has discovered that certain micronutrient antagonize or compete with one another making it so that the absorption or utilization of some micronutrients can be greatly hindered or even negated in the presence of another. Not only is micronutrient competition a very real occurrence it is perhaps the most overlooked factor contributing to poor availability of micronutrients in all nutritional supplements today. How We Discovered Micronutrient Competition: My first introduction to the concept of micronutrient competition was while reading a magazine published by Bill Phillips called Muscle Media Magazine more than 15 years ago. There on page 56 was an article titled Mineral Rights written by Brett Hall RD where he was interviewing Dr. Lorraine Brilla, PhD a leading expert in mineral research from Western Washington University. The article was mainly about how most athletes are simply not meeting their minerals needs through their whole food diets and how supplementing with minerals such as zinc and magnesium could greatly improve strength and athletic performance – nothing too earthshattering, but just when I was about to put the magazine down, on the bottom of page 59 and continuing through the rest of the article on page 61, I was introduced to the idea of micronutrient competition – a reality that that changed my life forever and sent me on a path to understand how minerals, and later vitamins, interact with one another in both a negative and positive way. The truth is had I not read this article and had Mira not been so insistent on reversing her advanced osteoporosis naturally, I may never have conceived of the way to help her by creating a multivitamin that separated the known antagonists so that superior absorption and utilization of each micronutrient could be realized. But I did and she did, and today not only have Mira and I been able to use our patented Anti-Competition Technology to reverses her advanced osteoporosis in only 2 years, but today nutreince, the only multivitamin in the world formulated using Anti-Competition Technology, is helping countless numbers of people around the world regain their health. Biochemical Competition, which happens after the body has ingested the micronutrients in the multivitamin, but before the micronutrients have been absorbed. The micronutrients compete for a common receptor site for absorption or transport pathways, as is the case between lutein and beta-carotene. Physiological Competition, which occurs after the micronutrients have been absorbed; when one or both of the two competing micronutrients may cause decreased utilization, even after absorption has taken place. For instance, in some studies copper has been shown to reduce the activity of pantothenic acid (vitamin B5). We also want to be very clear about the fact that we did not actually discover a single micronutrient competition ourselves. What we did is simply poor through 1000’s of scientific articles and studies and tried to find as many references to already discovered micronutrient antagonistic actions as we could find. We of course started with the few that Dr. Brilla highlighted such as zinc and calcium and copper and zinc and eventually ended up discovering 48 competitions that can occur within a group of 34 different micronutrients. We also discovered that out of those 34 micronutrients, 30 have at least 1 competition, 15 out of the 34 have at least 3 competitions, and iron has 10 competitions with other micronutrients. When we mapped these competitions out they resembled a spider web and so that is why in our book Naked Calories we call this map The Web of Competition. Now if Thorne along with many other supplement companies out there are spending the time and money to avoid mineral competitions by using amino acid chelation why aren’t they focusing on vitamin competitions too? Well, we must all remember how young the study of micronutrients really is. To put things in perspective, it has been only 100 years since the first vitamin was discovered; it should not surprise us then that there are still many facets of supplemental science that are yet to be realized. An example of how powerful Anti-Competition can be! Science and the understanding of micronutrient competition is moving ahead. In 1998, a study published in American Journal of Clinical Nutrition revealed that, “lutein negatively affected beta-carotene absorption when the two were given simultaneously.” In 2002, the TOZAL study on Age-Related Macular Degeneration (AMD), an eye condition that leads to blindness, used this cutting edge information to successfully reverse and prevent the progression of this disease. TOZAL developer Edward Paul, O.D., Ph.D., of the International Academy of Low Vision Specialists, called this discovery “ground shaking.” For years, scientists have known that both lutein and beta-carotene had beneficial effects on subjects with AMD. However, in this study when, for the first time, the competition between lutein and beta-carotene was accounted for, the benefits of both micronutrients were realized and micronutrient supplementation either improved or stabilized vision in 76.7 percent of patients. According to Dr. Paul this information “will really turn the way we look at nutrition on its ear.” He adds that this new understanding of micronutrient competition represents a “huge paradigm shift when you consider that we had been recommending lutein be combined with other antioxidants, which is a reasonable thing to recommend. But when these two nutrients are competing for the same receptor site, they’re only neutralizing one another.” NOTICE THIS IS NOT ELIMINATED IN THE THORNE FORMULA. We cannot overemphasize the paralyzing impact micronutrient competition is having on supplementation and specifically the multivitamin. In the above example, eliminating a single micronutrient competition actually improved or stabilized vision in 76.7% of the patients. Take a look again at “The Web of Competition,” and imagine how many other diseases may be prevented, or reversed, if we could simply erase all of those red lines? Why talk down Anti-competition Technology? Now just like Albion holds patents on their chelated minerals making it so no one else can use their technology without going through them, Calton Nutrition holds the patent on Anti-competition technology meaning any multivitamin company that wants to utilize this technology in their formulations has to license the right to do so from us. This is another reason that Ben and other multivitamin companies are likely talking down the importance of anti-competition technology, because they knows no matter how much they would like too, they can’t use this technology unless they license the right to do so, so they want you to think it is irrelevant, but it is the farthest thing from irrelevant as can be. 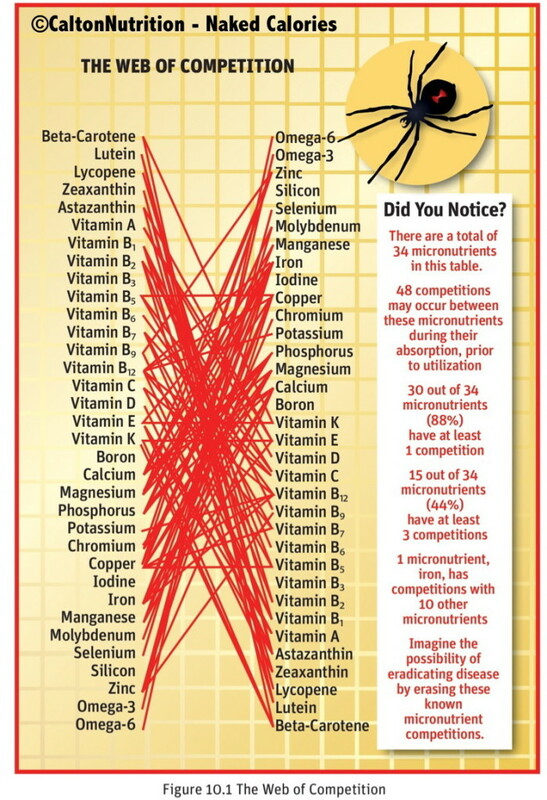 Additionally, the supplement/multivitamin market is a 32 billion industry the last thing they want is the general public to realize that the vitamins they have been selling them for the last 20 or 30 some years hasn’t been working due to these micronutrient competitions. When competitions occur- Synergy cannot! The final factor in our discussion of the ABCs of Optimal Supplementation is the S, for Synergy—the flipside of competition. Think about how micronutrient competition can negatively affected our ability to achieve optimal health; now turn these competitions upside down, and a world of positive benefits suddenly appears. For every type of micro- nutrient competition, there is an equal and opposite synergy to which it relates. 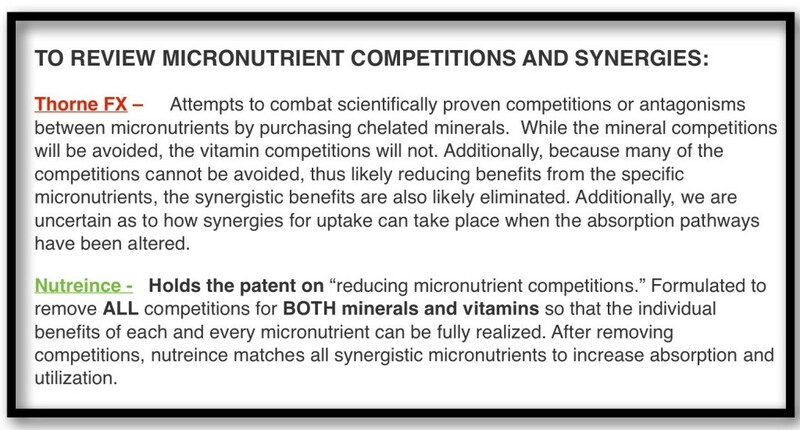 But remember, although micronutrient synergy can enhance utilization and absorption, it cannot reverse or eliminate micronutrient competitions. Meaning unless micronutrient competitions are accounted for, any micronutrients that may be negatively affected will not be available to preform its positive synergistic role. 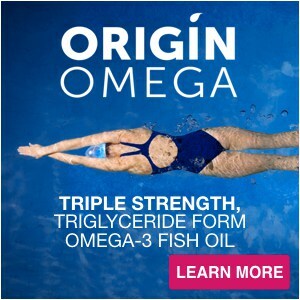 Think of synergy as the icing on the ABCs of Supplementation cake. Assuming that A, B, and C are all accounted for, synergy works to enhance our results. The opposite of a physiological competition is a Physiological synergy. Unlike its competitive counterpart where two micronutrients decrease each other’s utilization, physiological synergy causes one micronutrient to aid in the performance of a second micronutrient. This occurs because one micronutrient needs to perform a specific function in order for a second micronutrient to do its job. For example, vitamin K needs to be available in the body when calcium arrives. It is essential in the formation of bone tissue. We ended up discovering 86 synergies that can occur within a group of 34 different micronutrients. We also discovered that out of those 34 micronutrients, 32 have at least 1 synergy, 23 out of the 34 have at least 3 synergies, and 17 out of the 34 have at least 5 synergies. 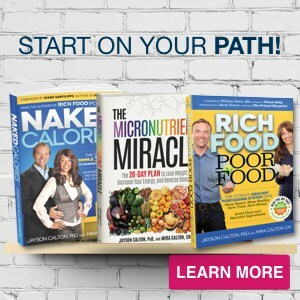 You can see these synergies mapped out in our book Naked Calories in what we call The Dynamic Duos of Synergy chart. Physicians’ Desk Reference 54th edition, 2000. Medical Economics Company. ISBN: 1-56363-330-2. Pg. 1674. Shrimpton D.H. Dr Derek H Shrimpton, scientific advisor to the European Federation of Health Product Manufacturers (EHPM) considers the nutritional implications of micronutrient interactions. // Chemist & Druggist. – 2004. – 15 May. Paltzev M.A., Koukes V.G., Fisenko V.P. “Molecular mechanisms of medicines interaction” AstraPharmService, Moscow 2004, p.224.